Christian Grey has gone global. "Fifty Shades of Grey" star Jamie Dornan stopped by the "Tonight Show" on Monday, where he and host Jimmy Fallon took turns reading passages from the steamy novel in different accents. 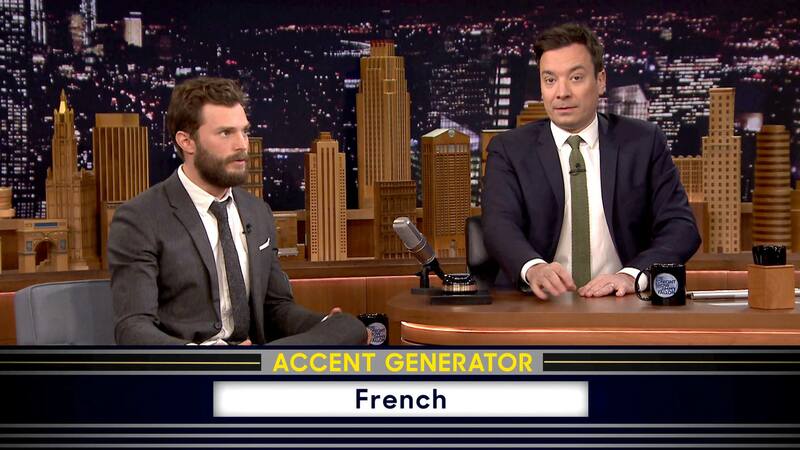 The game, appropriately called "Fifty Accents of Grey," had Dornan (who hails from Northern Ireland) talking in a Scottish brogue, while Fallon tried his hand at delivering a line with a Russian accent. You can see Dornan as Grey -- with an American accent -- when "Fifty Shades" hits theaters this weekend.